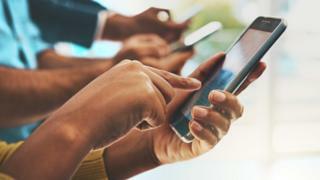 The rollout of technology which allows the police to gather data from mobile phones or laptops without using a password should be delayed, MSPs have said. Police Scotland spent more than £500,000 buying from an Israeli firm 41 laptop-sized machines which override encryption on devices. But the rollout was halted amid concerns using the technology could be illegal. Now MSPs want further safeguards. Holyrood's justice sub-committee on policing has published a report recommending the scheme is not restarted until greater clarity on the legality for their use is provided. The report is also critical of the oversight given to the scheme by watchdog the Scottish Police Authority (SPA) and the actions of Police Scotland during trials in Edinburgh and Stirling. The committee found that members of the public whose phones were seized and searched were not made aware their phones were to be searched using the so-called "cyber kiosks" as part of a trial. Justice sub-committee convener John Finnie said: "Prior to the introduction of any new technology to be used for policing purposes, an assessment of both the benefits and the risks should have been carried out. "It appears that, in relation to the introduction of cyber kiosks, only the benefits were presented by Police Scotland to the SPA, with the known risks not provided. "The SPA, for its part, seems to have accepted the information provided with very little critical assessment. "Even the most fundamental questions, such as the legal basis for using this technology, appear to have been totally overlooked. He added: "This sub-standard process has resulted in over half a million pounds worth of equipment sitting gathering dust. "Clearly, this is not an acceptable situation. The sub-committee wants to work with the Scottish government and the stakeholder groups belatedly assembled to consider the implications of introducing cyber-kiosks to find a solution which would provide the necessary safeguards for the use of this new technology." Assistant Chief Constable Steve Johnson of Police Scotland said: "Like the justice sub-committee on policing, we have received written confirmation from the Crown Office and Procurator Fiscal Service about the clear legal basis, and robust statutory regime, for the use of this much-needed technology. "The rigorous scrutiny of this process by the justice sub-committee has added significant value to the development of Police Scotland's assurance and governance processes for the use of this necessary equipment. He added: "As the Chief Constable has already made clear, there is a policing imperative for deploying the equipment to protect vulnerable victims and bring offenders to justice. "However, he has also stated that he must be satisfied that privacy and human rights considerations have been transparently and satisfactorily addressed. "The value of cyber kiosks in helping protect the most vulnerable people in society while tackling the most highly-sophisticated criminality cannot be underestimated." Susan Deacon, chairwoman of the SPA , said: "The committee's consideration of this issue has been informative and the SPA will consider the report carefully and respond in due course. "The SPA has already strengthened our arrangements for the oversight of policing policy and practice and will continue to do so." Should police be allowed to forensically search mobiles?